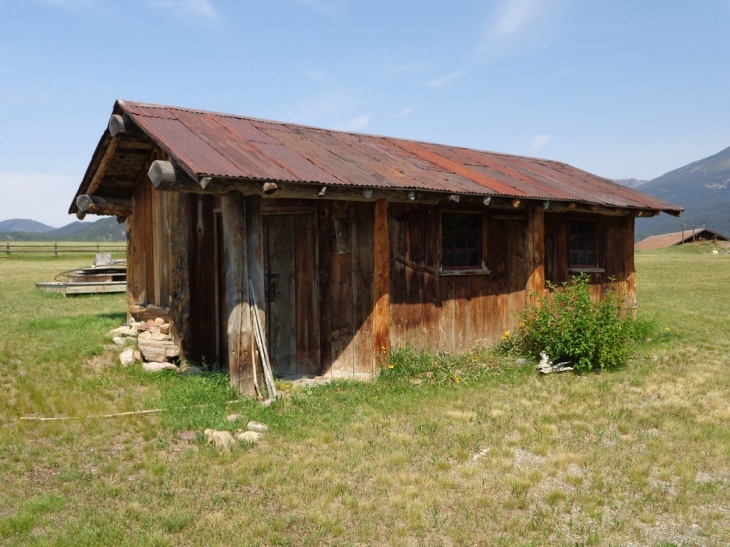 In case you have thought of building an outhouse workshop to explore your hobbies or to store things then this is the right post for you. 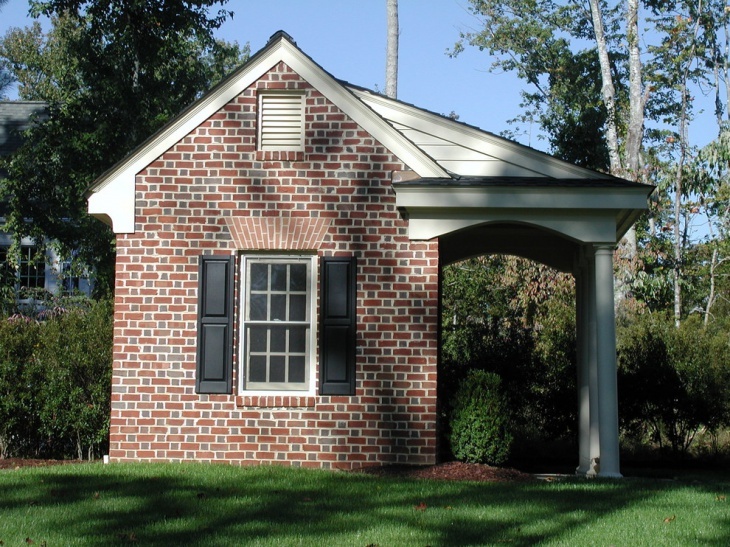 A shed is basically a small building of a roofed structured. 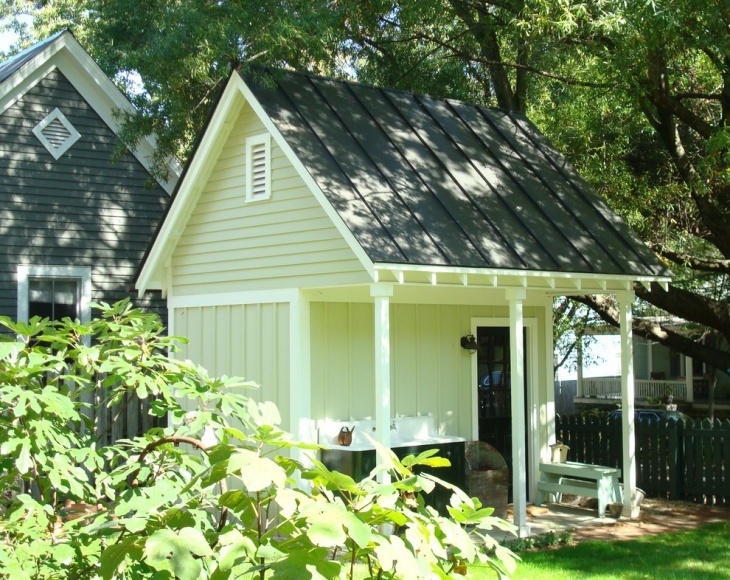 There are many variations of shed designs that range from closed to open sided, in order to cover everyone’s needs. We have brought together a collection of shed designs to share with you and help you choose accordingly. 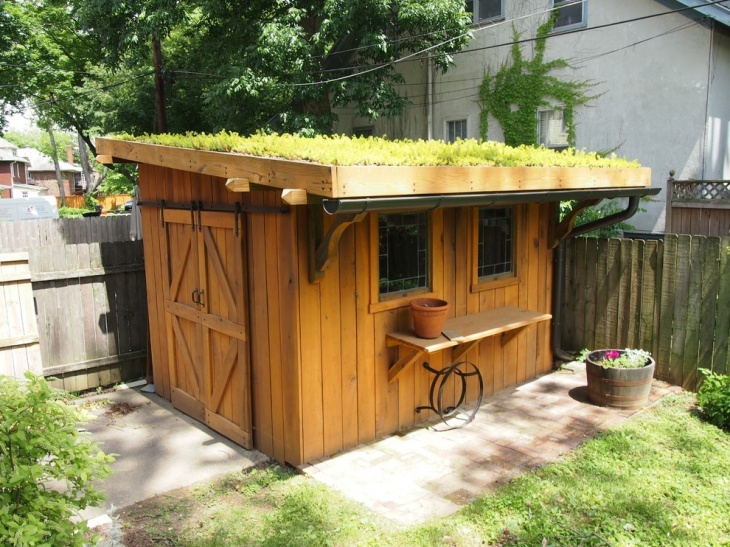 You can either make the shed a part of your garden or you can make it stand out in a unique way. Choose the style according to your tastes and decorate it with a creative and open mind. 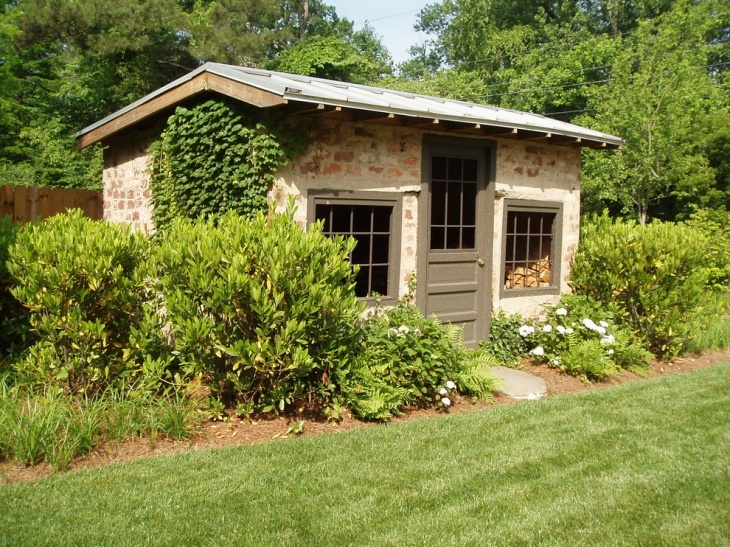 From a traditional cottage to a contemporary studio you have endless options. 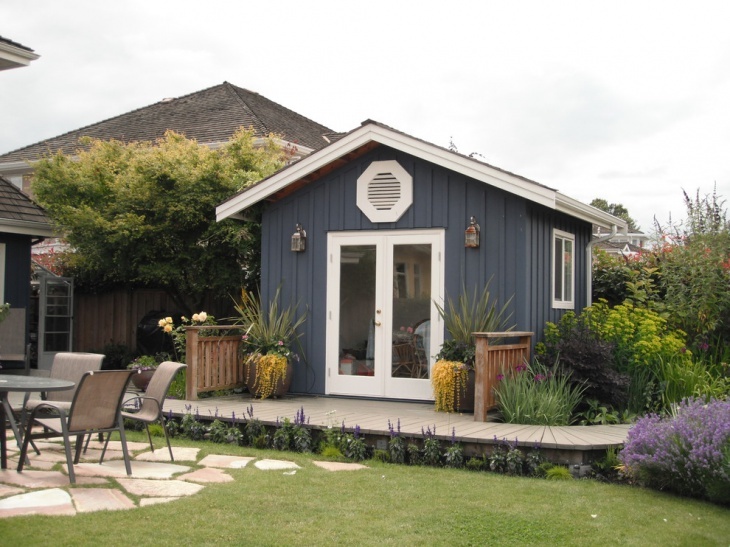 A storage shed can be simple or complex depending on your needs. The size has to be enough in order to provide adequate storage space. In built shelves and large cabinets will help you organize with efficiency. Also do not forget to consider its needs for natural lighting and airing. 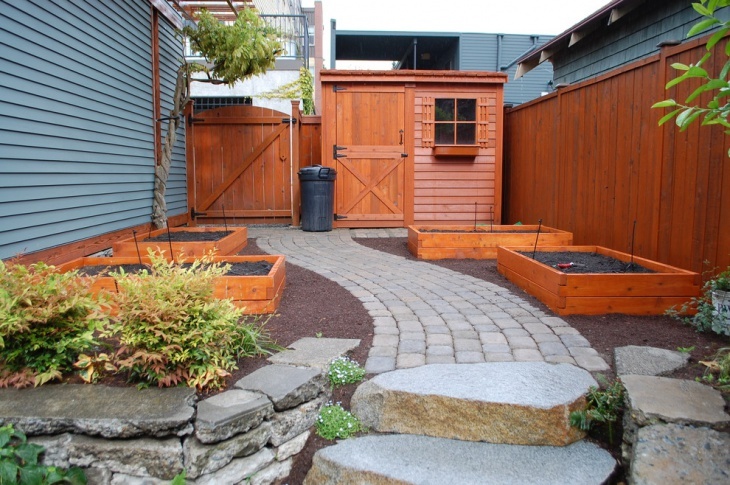 Natural materials are the key feature of a backyard shed. 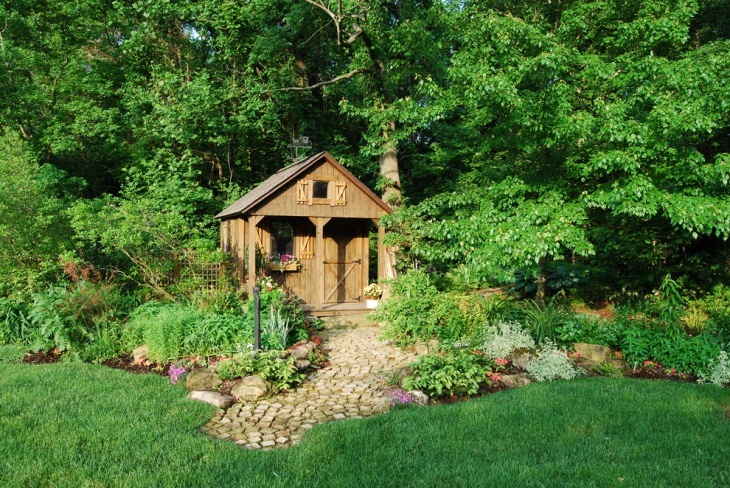 Wood and stones will make the shed look as a part of your backyard leading the eye to its design without stealing the limelight. You can add little pots of flowers on the windowsills or you can plant around it. Sheds can be built everywhere. Made of wood, glass or stones with various roofing options you can choose the right one accordingly. 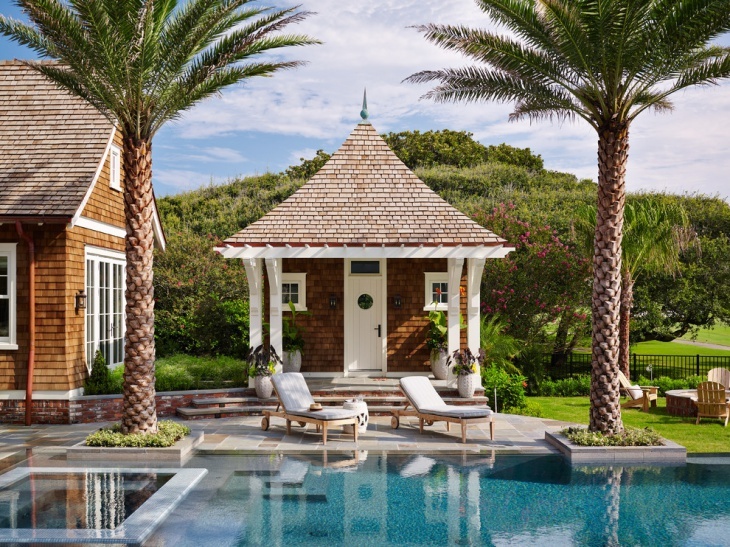 However, you have to make sure that the ground is appropriate for a shed’s foundations and that the style connects to the surrounding environment for better aesthetical results. 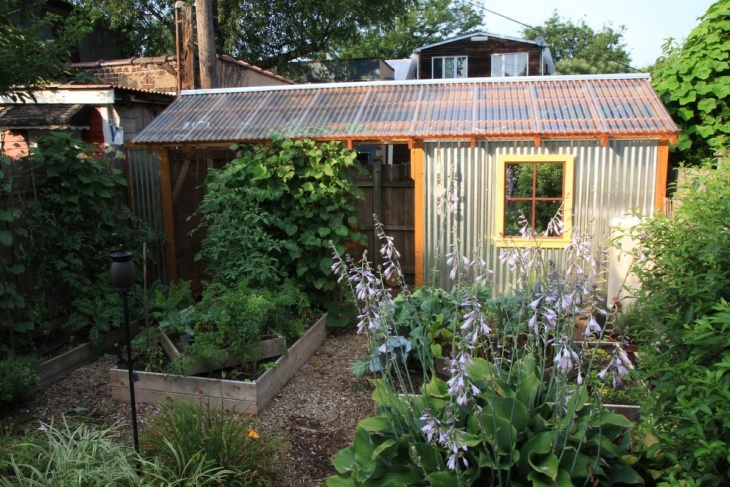 Glass, recyclable and recovered materials are the most common ones used for building a shed. 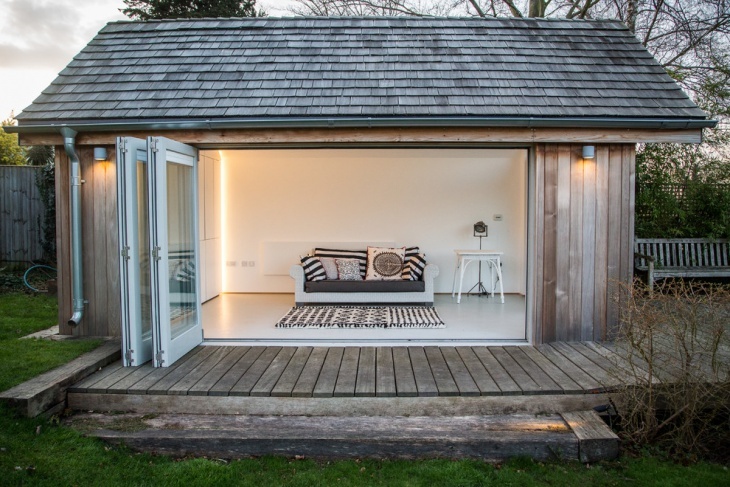 Whether it’s you new studio or just a quiet place to write, the shed has to be inspiring and comfortable. 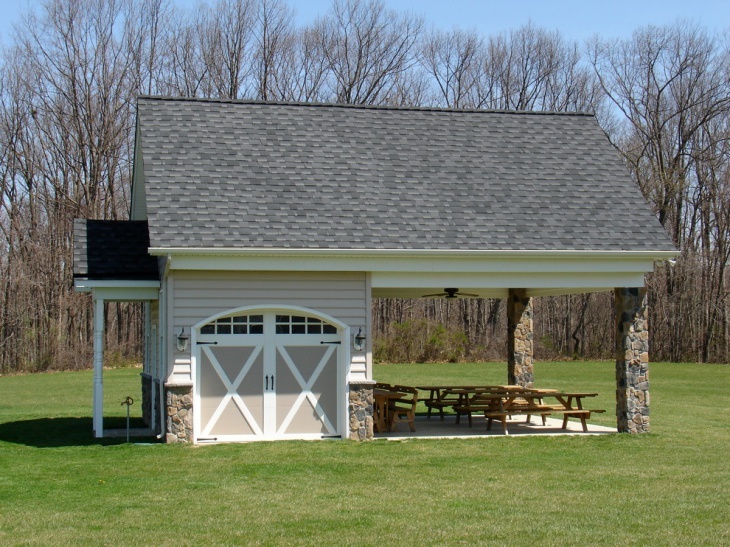 There are numerous designs for modern sheds that range from various shapes to environment friendly. 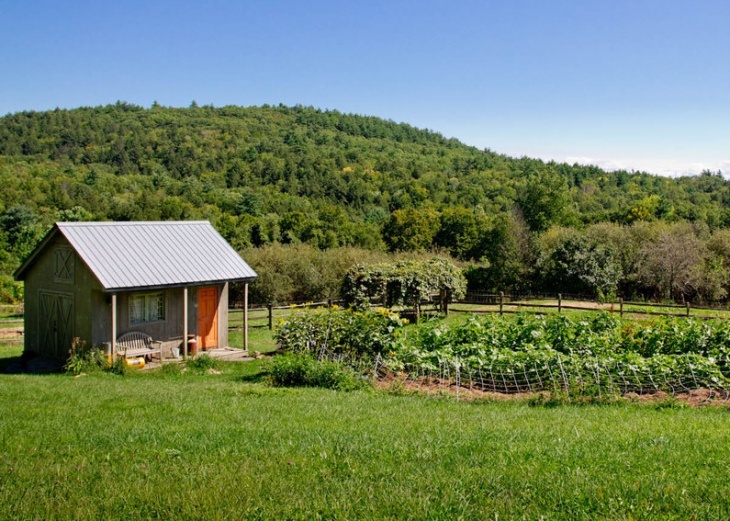 A small shed will help you store and organize your gardening tools. You can estimate the correct sizing just considering the items that you’ll need to store in the shed. 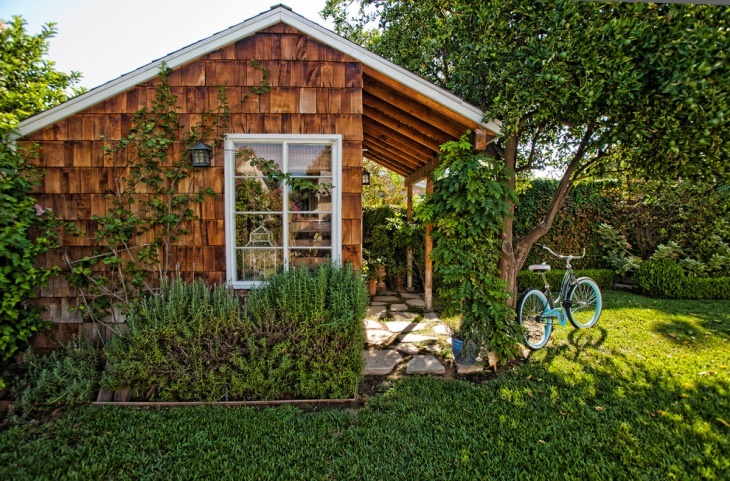 On the shed’s exterior you can be creative and add floating shelves for plants and flowers or stylish lighting fixtures. 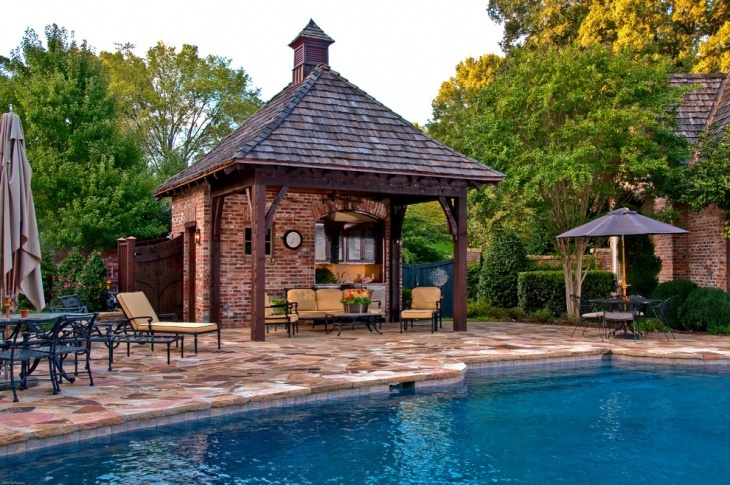 A pool shed can follow the house’s style. As a stylish extension you can use materials that are same or similar to the one’s used in the house. However that is not restricting. You can have any style and design you like creating a fashionable and comfortable space to lounge. 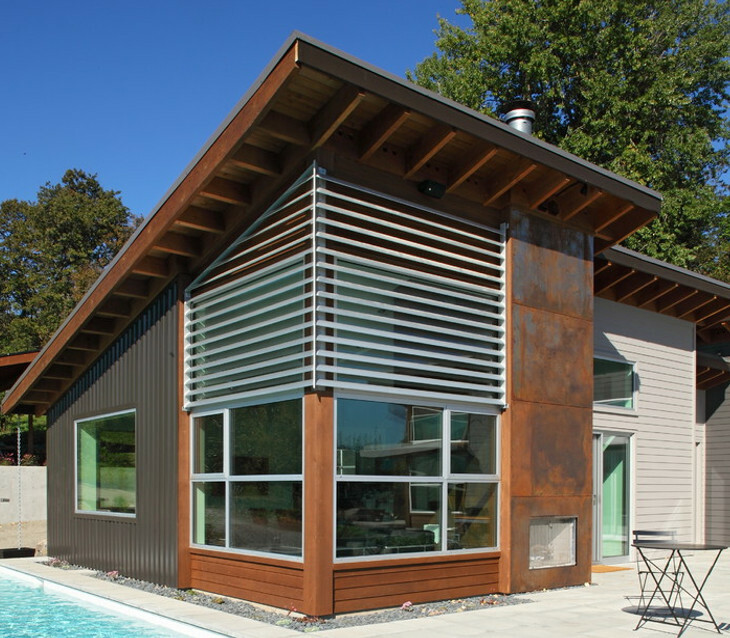 Industrial style is a very popular one that is usually combined with the contemporary. 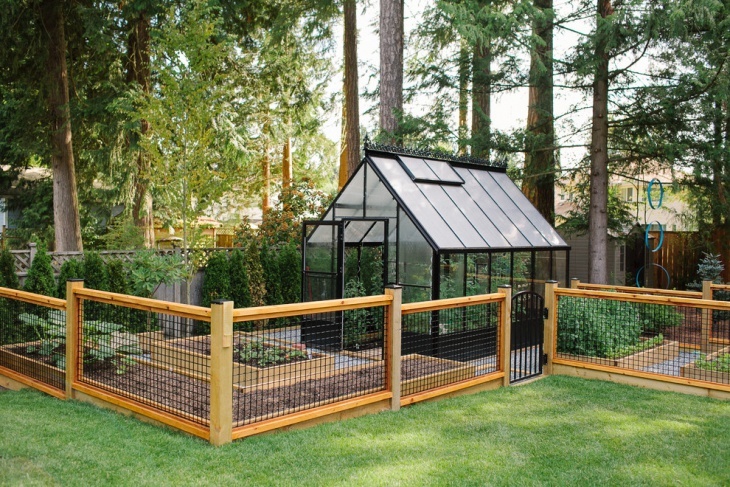 Metal structures with retractable glass panes will give you a charming greenhouse setting. 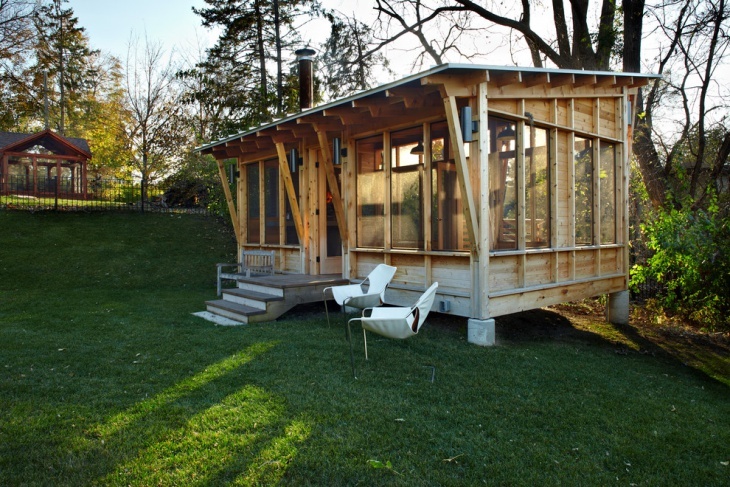 This shed design can be used all year around since you can heat and air it with various natural or artificial systems. 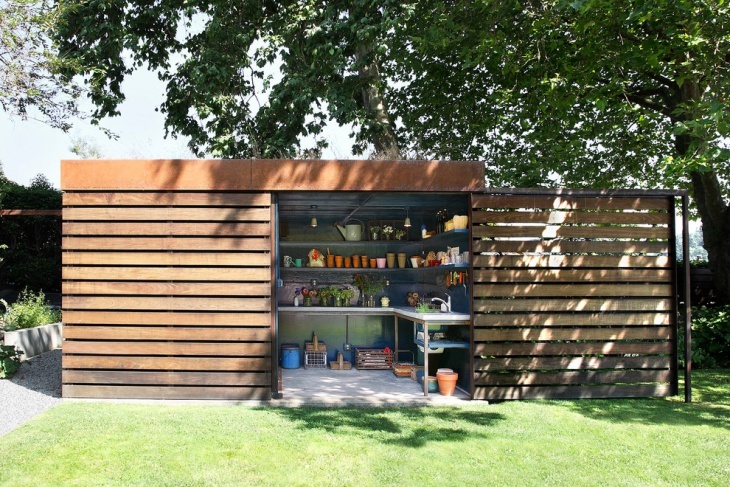 Following a simple and minimalist approach for a contemporary shed you can experiment with different materials and use unique combinations. 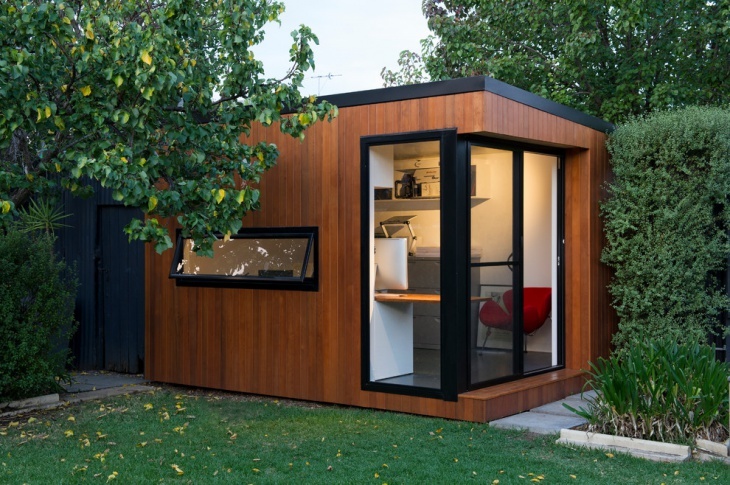 From small greenhouse to a large open sided shed, your new workspace studio will provide you with a smart space that can give you all the comforts of a house. 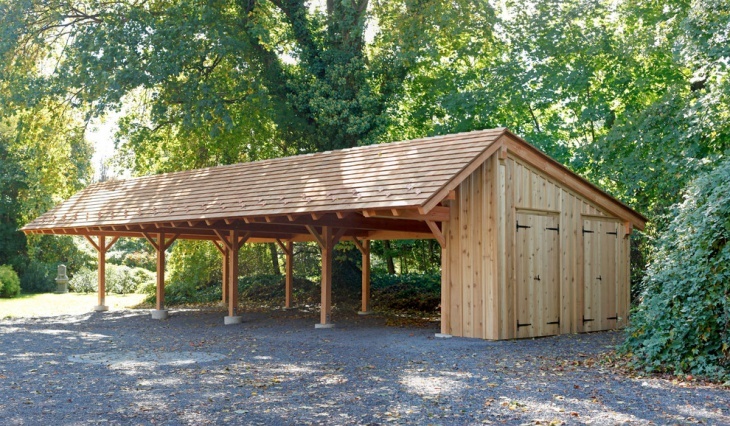 A garage shed is useful providing you parking space for your car and offering protection from weather conditions. 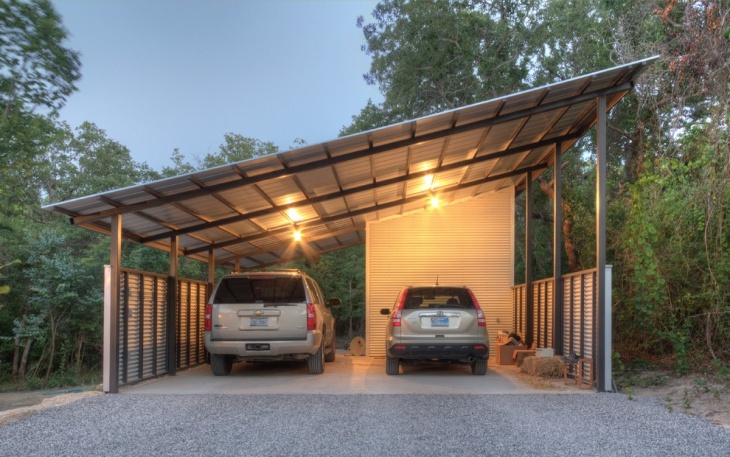 Depending on the space you can afford, the garage can be large or small, open sided or completely closed for security purposes. The style can be chosen according to your personal tastes. 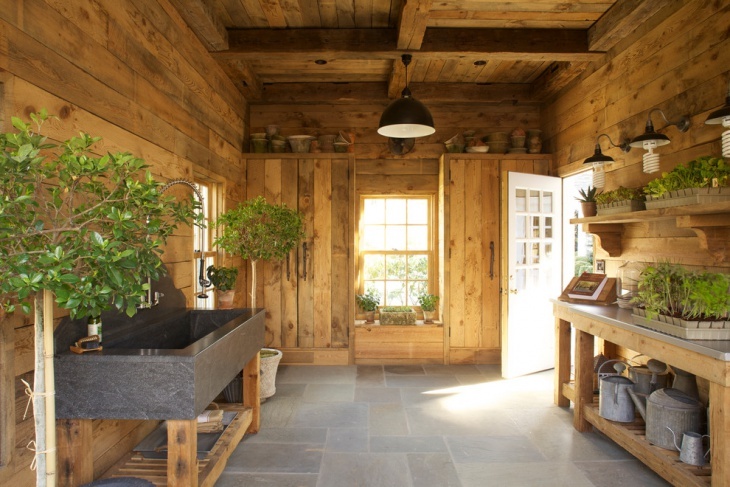 The shed can give you amazing ideas for potting. Plant you favorite plants in the shed and create you very own greenhouse for vegetables and exotic or out of season flowers and plants. You have to take into consideration the spacing as well the airing of the shed for efficiency. 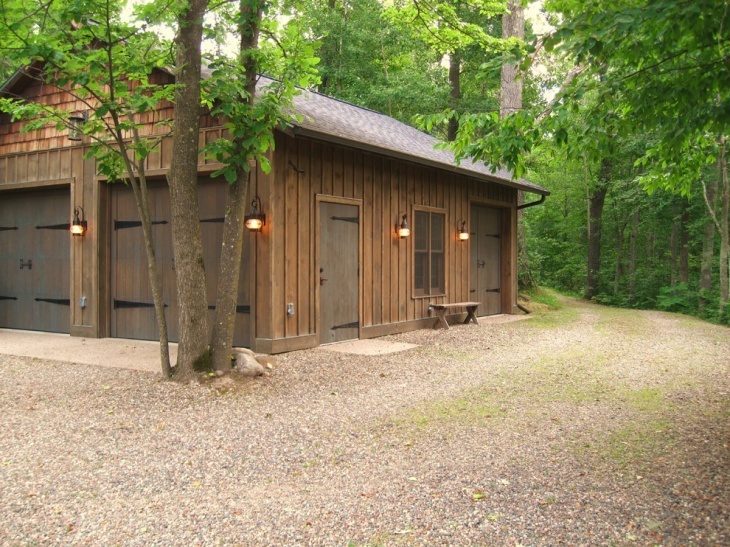 A farm shed is useful for storing products and machinery that are needed around the farm. 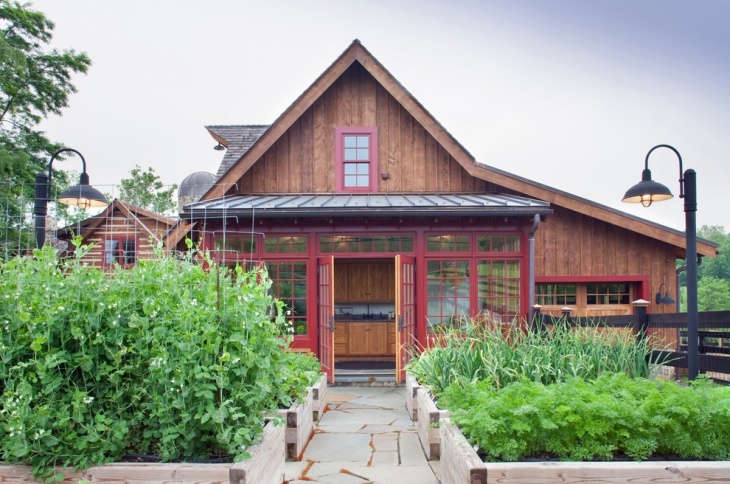 You can copy the style for your backyard too incorporating a traditional barn shed design to complete your garden. Get inspired by Southwestern styles and turn your backyard into a farm replica. Rustic designs require textured materials that look raw and authentic. Wood is one of the most ideal materials since the wood grains as well as a tree’s bark can bring the rustic style to life. Have you ever thought that a corner of your garden looks empty? 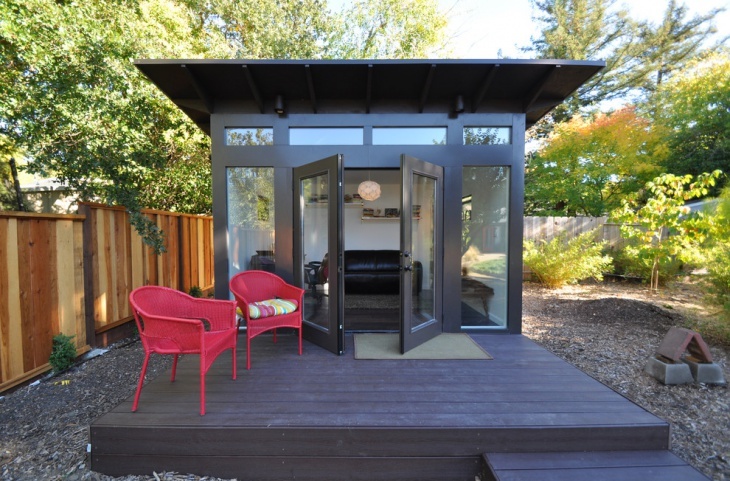 Then you should consider building a corner shed. 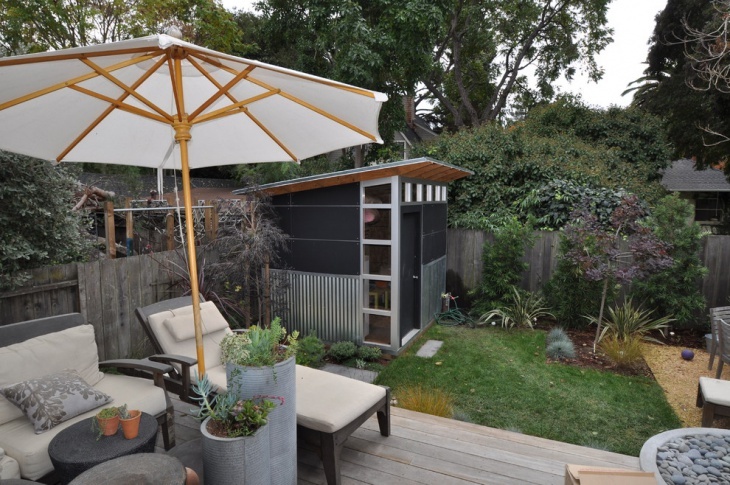 These little shed’s have a great use that proves versatile and can be used for storage purposes while it can also give you a great and quiet space to work. Country style has an inviting feeling that makes even the smallest of sheds look warm and cozy to share with family and friends. 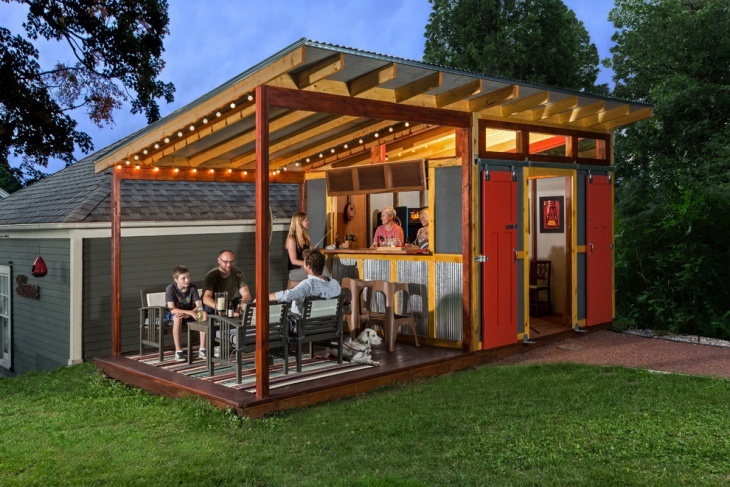 Create a shed with a patio large enough to fit a table and chairs, as it will be ideal for hosting gatherings. 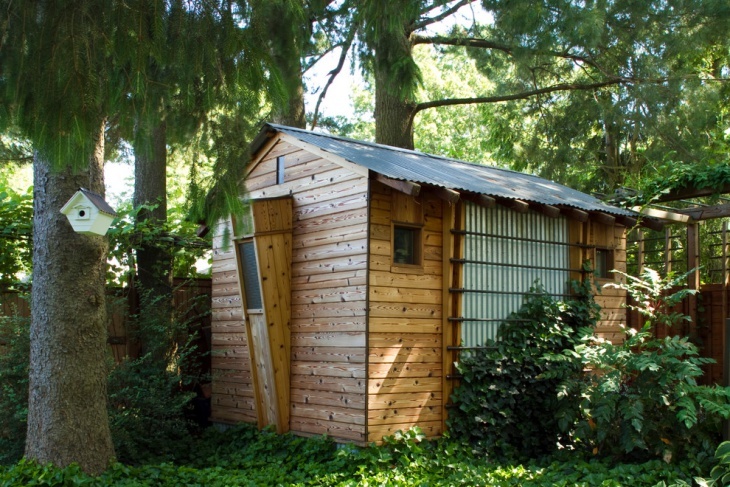 A bathroom shed is a great solution for families with lots of kids. You can create a master bathroom design with no restrictions for the layout, since you can make it as large as you like. 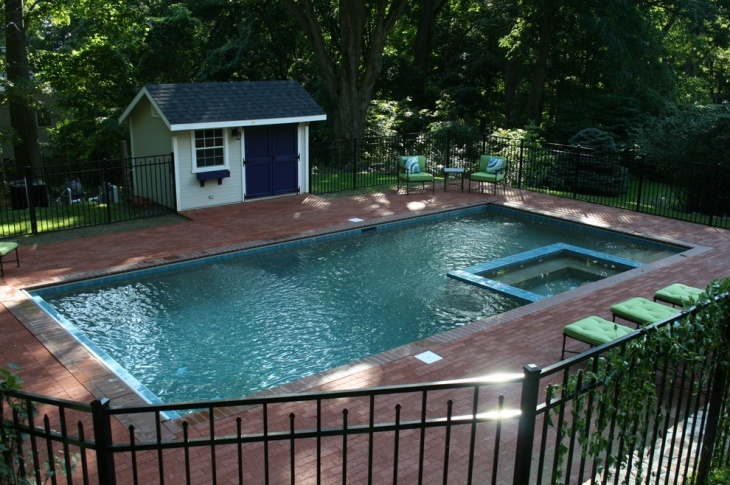 Also this is a great space to add the jacuzzi you always wanted. 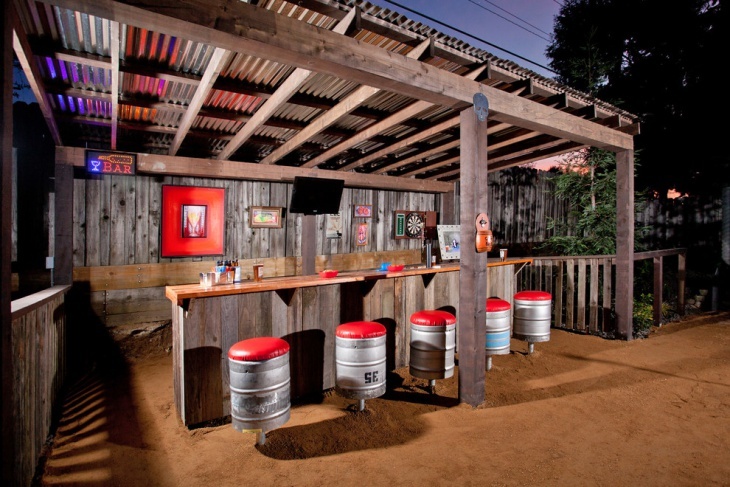 Whether you host gathering or you just enjoy a drink in your backyard, a bar shed will look perfect anyway. 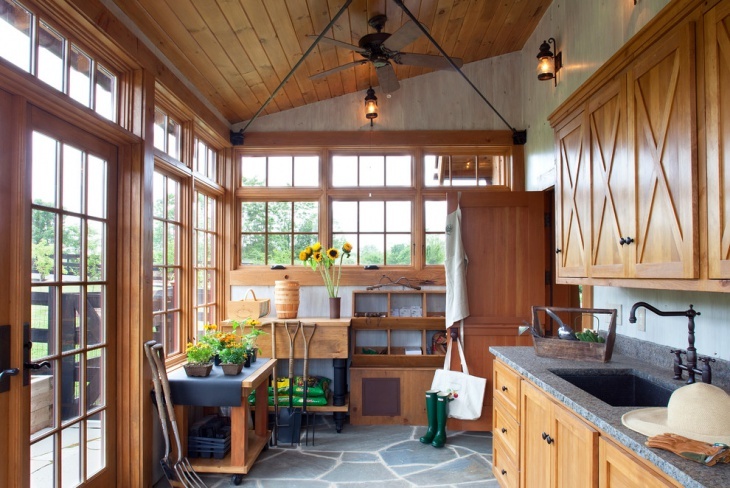 A large window with a counter will give an exotic feeling to the shed while you can create a patio to provide protection for weather conditions. For the sheds interior you can get as creative as you want. 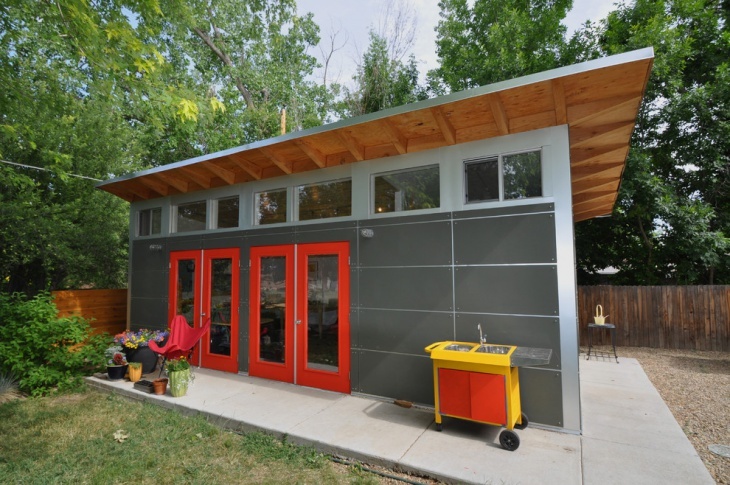 Use functional furniture that is appropriate for the shed’s use. Be smart about the room’s free space and take advantage of the provided storage space it offers. You have the freedom to create the space you need. 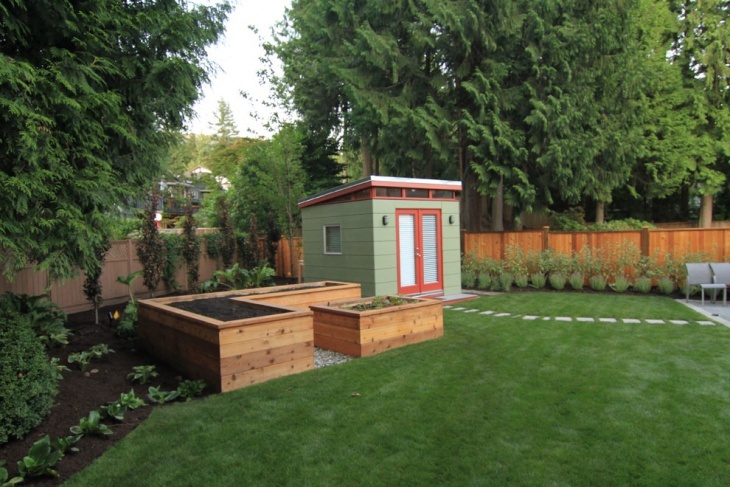 An open shed can be built at any spot in your garden. It can be a part of the house or the fence. Their roof provides protection from weather conditions and you can store things that are essential for the garden or to park your car. 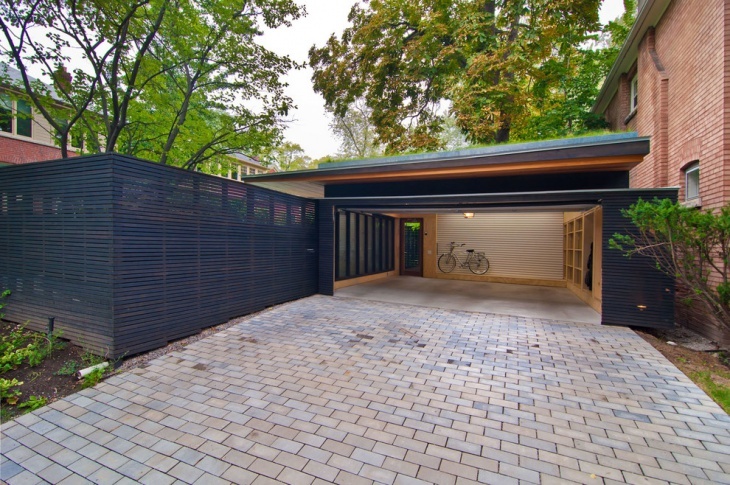 A car shed consists of various materials like wood, metal, glass and fabric. 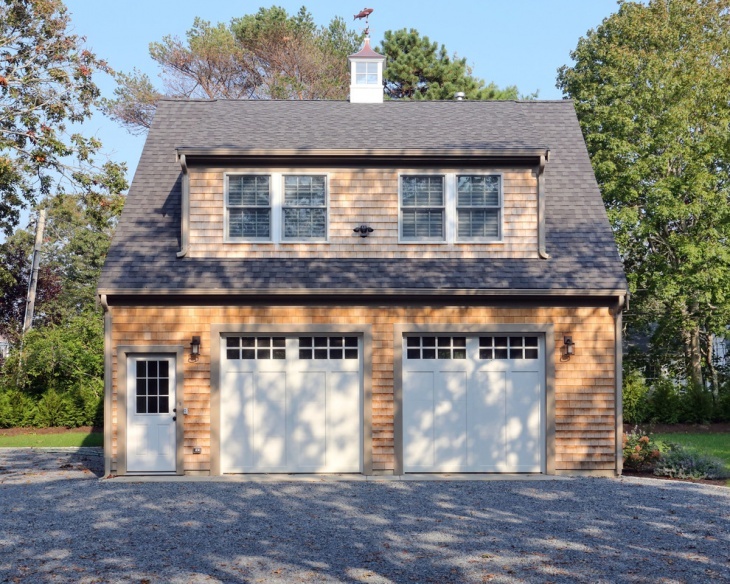 There is a great variety of styles and designs that range from rustic to futuristic, providing you with great designs of car sheds for your house. Every shed design is unique and has specific features. 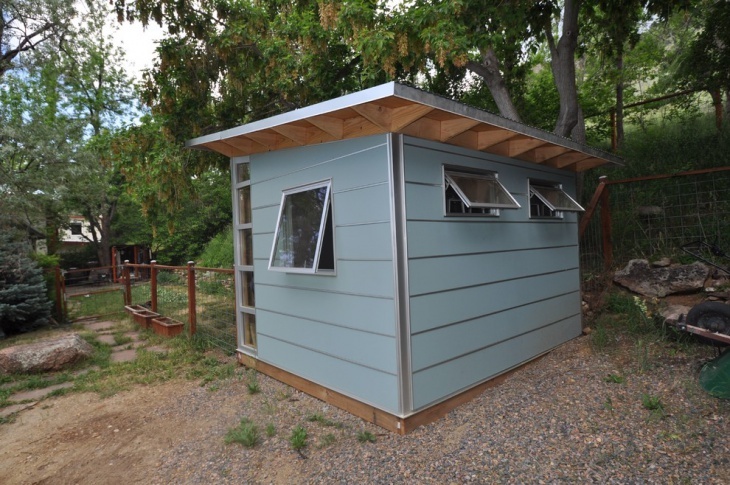 Depending on the use that it is destined for, the shed can have windows, electrical and plumbing installations, heating systems and they can have different sizes. 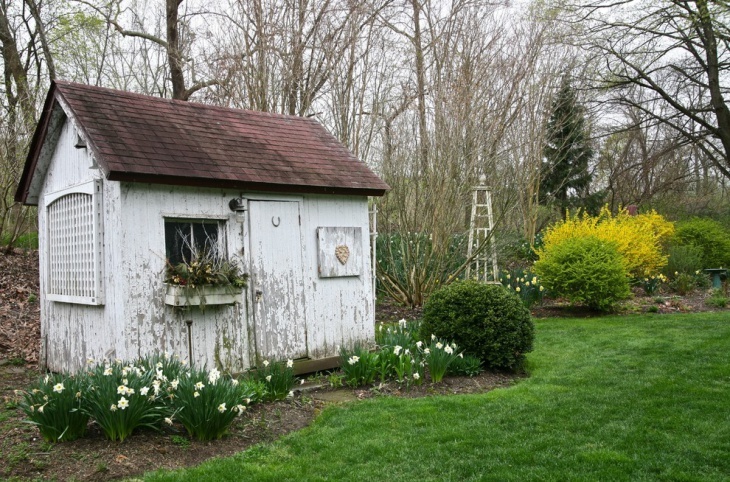 In order to decorate a shed you have to start with a specific style and use it as a base. From there you can play it up or down with furniture and decorative accessories for a functional and beautiful space. In any case you have to keep in mind the purpose you are going to use the shed for. Every shed can be styled differently. 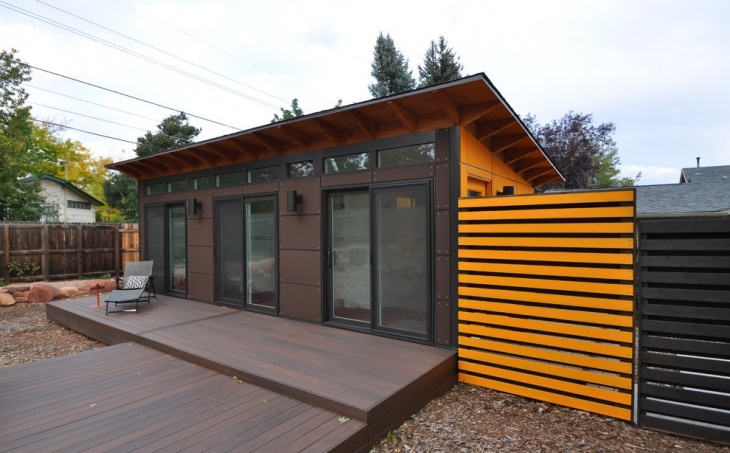 Depending on the shed’s design as well as the shed’s type you can be creative and let your imagination inspire you for an extraordinary result.